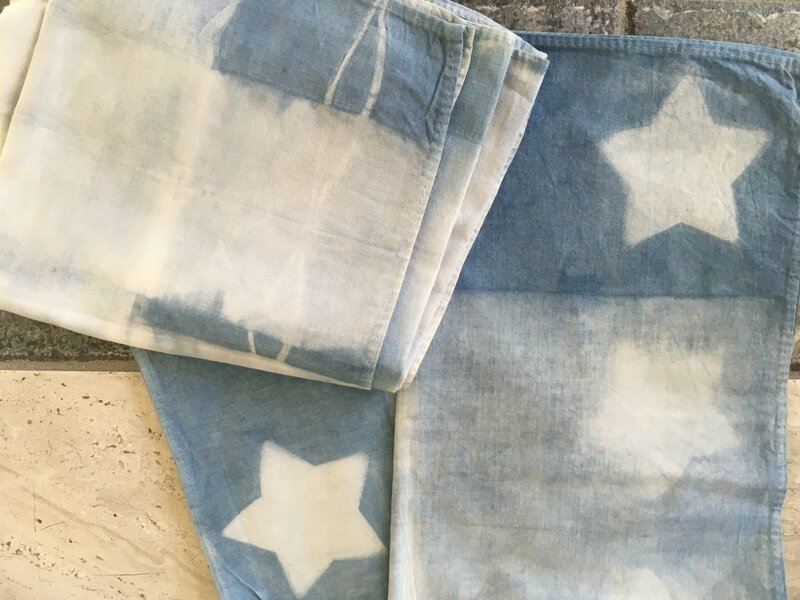 Kids will use the common kitchen chemistry ingredients of pickling lime (a canning ingredient) and fructose crystals (a form of sugar) combined with organic indigo to mix up a child safe dye. They will then learn to tie and bundle their fabrics using wooden blocks, marbles, rubber bands and craft sticks that will act as resists to create custom designs on their bandannas. The magic occurs when they learn to dip the bundled pieces into the indigo vat, take them out and watch as they oxidize from green to blue - giggles ensue! Wear clothing you don't mind getting dye stained and bring an apron or smock.